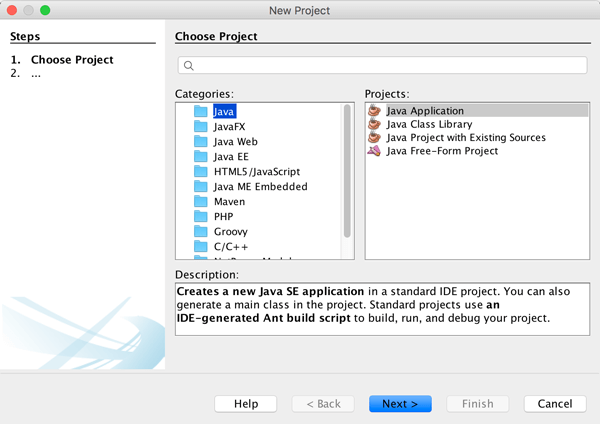 How to create Java Application using Netbeans 8.2 IDE with easy and simple step. 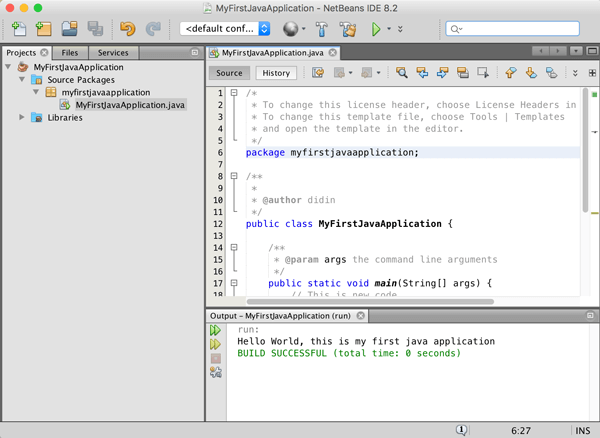 This time I will show you how to create Java application using Netbeans 8.2 IDE (Integrated Development Environment). 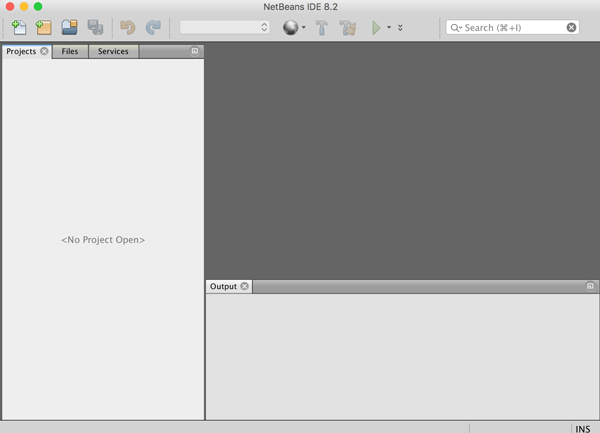 Let starting by start you Netbeans IDE. To create the new project just click the folder with plus sign icon toolbar. 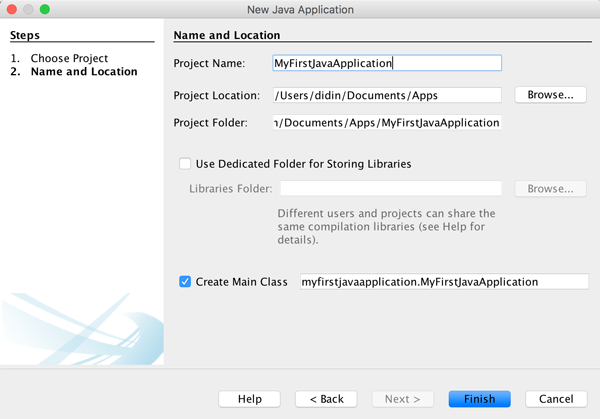 In wizard box, choose Java and Java Application. Click Next and fill all fields like below and leave default checkbox. Save your changes then run your application by open menu then choose Run then click Run Project or by click run icon in the toolbar. You can see the results below your code editor. That's the first java application for today.